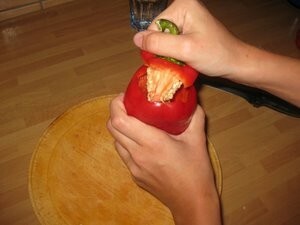 Wash the peppers and use a knife to cut out the stem and seeds attached to it. 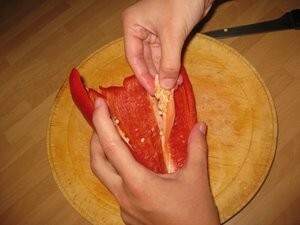 Cut the peppers in half and remove the rest of the seeds. Wash it inside a bit as well. Now you got your peppers ready to be pan roasted. 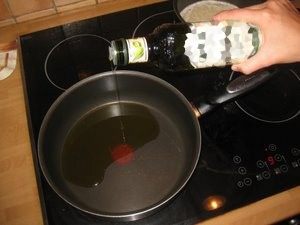 Pour a bit of olive oil into the frying pan. 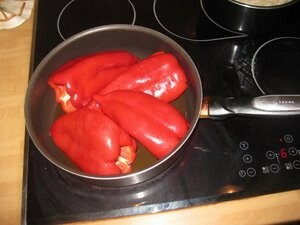 Put the peppers into the pan. 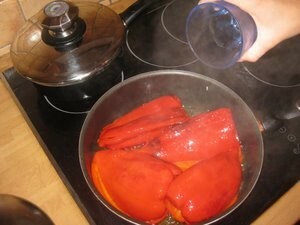 To soften the peppers carefully add a bit of water into the pan and put a lid on for a few minutes. Roast until all the water evaporates. Turn the peppers every once in a while so they roast evenly. 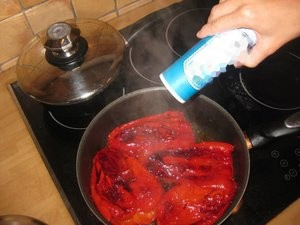 When there's no more water, add a few pinches of salt over the peppers. Don't be afraid if the skin turns black. Some prefer to burn the skin black and then peel it off before eating or serving it. 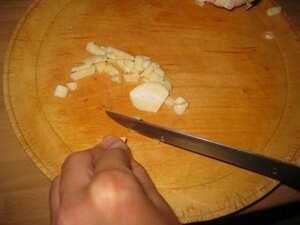 Take two cloves of garlic and chop it into small pieces. 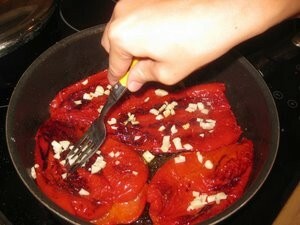 Put it evenly over the peppers.. 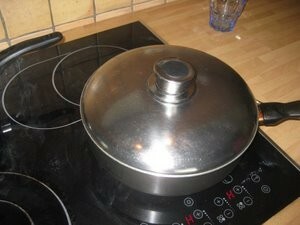 Turn off the cooker, put a lid on and wait for a couple of minutes. 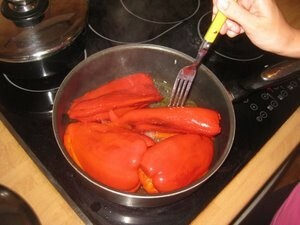 Serve the roasted peppers as a side dish or instead of a salad. You can pour a bit of olive oil and vinegar over it or eat it as it is. 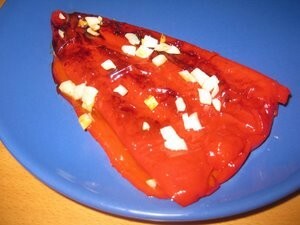 I'm sure you'll find the roasted peppers delicious and easy to make. 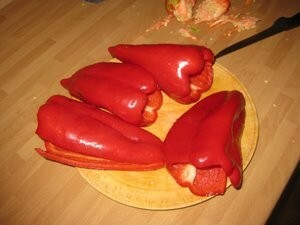 I love peppers. Thank you for posting this tutorial. Hope to see even more recipes on Dreevoo. They are the best!